LaserMethane mini (LMm) now has the latest technology to help keep you safe at a distance. Now featuring Bluetooth technology, LMm allows you to record real-time gas readings and tag GPS locations via an Android device – all of which can be stored and saved for later. 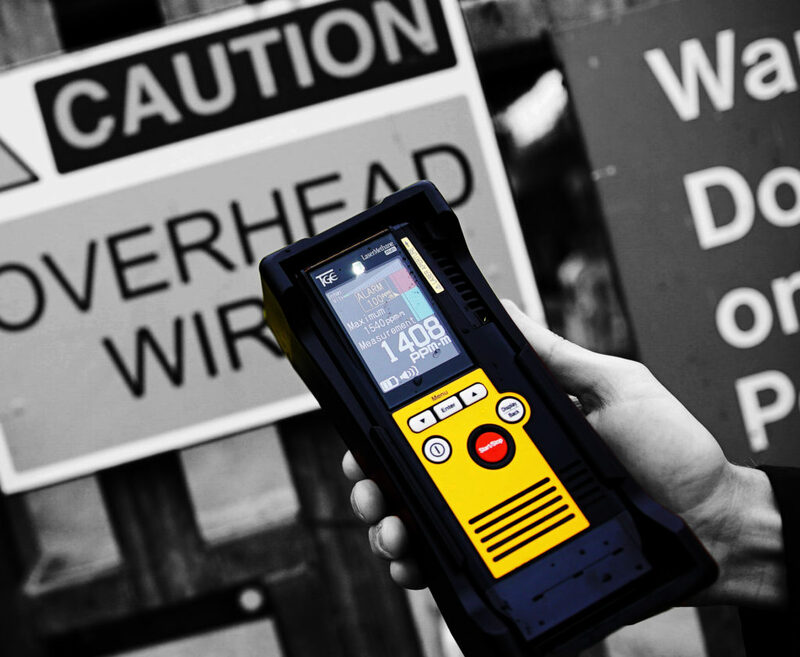 It is ATEX approved for use in explosive environments too. LMm is a quick and effective way to check areas for methane from a distance of up to 30m, or 100m with a reflector. These areas include closed buildings, confined spaces, and other difficult-to-reach areas such as above-ground pipelines that are near water or behind fences. Its laser can even detect methane through windows so you don’t have to spend money on equipment to get closer, or request permission for access. LMm is less likely to give false positives because it’s methane specific. And unlike conventional detectors, it is unaffected and undamaged by the presence of silicon compounds, solvents, or other gases. Complete with a self-check on start-up to ensure accurate readings, LMm eliminates the need for time-consuming calibrations. Its bright green laser is visible even under bright sunlight, and only weighting 600g it’s lightweight and convenient to carry. LMm is ideal for use in industrial, commercial, and research environments. To find out more about the LMm, visit the product page.